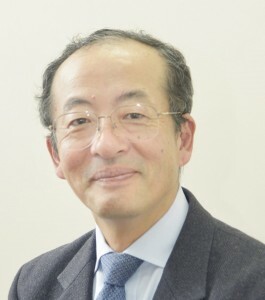 Toyoaki Nishida is Professor at Department of Intelligence Science and Technology, Graduate School of Informatics, Kyoto University. He received the B.E., the M.E., and the Doctor of Engineering degrees from Kyoto University in 1977, 1979, and 1984, respectively. His research centers on artificial intelligence and human computer interaction. He opened up a new field of research called conversational informatics in 2003. He edited and co-authored three books on conversational informatics and related topics from Wiley and Springer. Currently, he leads the Human-AI communication (HAIC) team at RIKEN Center for Advanced Intelligence Project (AIP). As a social synergy, he served as a supervisor for JST’s Creation of Human-Harmonized Information Technology for Convivial Society domain in FY2014-2016 and the president for Japanese Society for Artificial Intelligence in FY 2010-2011. He also serves as an associate editor of the AI & Society journal and an associate member of the Science Council of Japan. Toyoaki Nishida (ed.) Human-Harmonized Information Technology, Volume 1: Vertical Impact, Springer 2016. Yasser Mohammad and Toyoaki Nishida. Data Mining for Social Robotics: Toward Autonomously Social Robots, Springer 2015. Nishida, T., Nakazawa, A., Ohmoto, Y., Mohammad, Y. A Conversational Informatics: Data-Intensive Approach with Emphasis on Nonverbal Communication, Springer 2014. Toyoaki Nishida, Lakhmi Jain, Colette Faucher (eds.) Modelling Machine Emotions for Realizing Intelligence: Foundations and Applications, Smart Innovation, Systems and Technologies Series, Springer, 2010. Toyoaki Nishida (ed. ), Conversational Informatics: an Engineering Approach, John Wiley & Sons Ltd, London, 2007. Yasser Mohammad and Toyoaki Nishida, Learning interaction protocols by mimicking: Understanding and reproducing human interactive behavior, Pattern Recognition Letters, Volume 66, Issue C, pp. 62-70, 2015. Moran, S.; Nishida, T.; Nakata, K., Comparing British and Japanese Perceptions of a Wearable Ubiquitous Monitoring Device, Technology and Society Magazine, IEEE , Vol.32, No.4, pp.45-49, 2013. Stuart Moran, Toyoaki Nishida and Keiichi Nakata. Perceptions of a Wearable Ubiquitous Monitoring Device, IEEE Technology and Society Magazine, Vol. 32, No. 3, pp. 56-64, 2013. Toyoaki Nishida: Towards Mutual Dependency between Empathy and Technology, 25th anniversary volume, AI & Society, Volume 28, Issue 3, pp 277-287, 2013. Yong Xu, Yoshimasa Ohmoto, Shogo Okada, Kazuhiro Ueda, Takanori Komatsu, Takeshi Okadome, Koji Kamei, Yasuyuki Sumi, Toyoaki Nishida: Formation conditions of mutual adaptation in human-agent collaborative interaction. Appl. Intell. 36(1): 208-228, 2012. Andrey Kiselev, Benjamin Alexander Hacker, Thomas Wankerl, Niyaz Abdikeev, Toyoaki Nishida: Toward incorporating emotions with rationality into a communicative virtual agent. AI Soc. 26(3): 275-289, 2011. Tomasz M. Rutkowski, Andrzej Cichocki, Danilo P. Mandic, Toyoaki Nishida: Emotional empathy transition patterns from human brain responses in interactive communication situations – Brain-computer and machine interactive interfacing approach. AI Soc. 26(3): 301-315, 2011. Yong Xu, Yoshimasa Ohmoto, Kazuhiro Ueda, Takanori Komatsu, Takeshi Okadome, Koji Kamei, Shogo Okada, Yasuyuki Sumi, Toyoaki Nishida: Active adaptation in human-agent collaborative interaction. J. Intell. Inf. Syst. 37(1): 23-38, August, 2011. Shogo Okada, Yoichi Kobayashi, Satoshi Ishibashi and Toyoaki Nishida. Incremental learning of gestures for human–robot interaction, AI Soc. 25(2): 155-168 (2010). Yasser Mohammad and Toyoaki Nishida, Constrained Motif Discovery in Time Series, New Generation Computing, 27(2009), 319-346. Matthias Rehm, Yukiko Nakano, Elisabeth André, Toyoaki Nishida, Nikolaus Bee, Birgit Endrass, Hung-Hsuan Huang, Afia Akhter Lipi, Michael Wissner. From observation to simulation: generating culture-specific behavior for interactive systems. AI & Society, Springer Press, Vol. 24, No. 3, 267-280, 2009. Huang, H.H., Cerekovic, A., Pandzic, I., Nakano, Y., and Nishida, T.: Toward a Multi-culture Adaptive Virtual Tour Guide Agent with a Modular Approach, AI & Society, Springer Press, Vol. 24, No. 3, 225-235, 2009. Yasser Mohammad and Toyoaki Nishida. Controlling Gaze with an Embodied Interactive Control Architecture, Applied Intelligence, Online First, published May 30, 2009. Loic Merckel and Toyoaki Nishida: Enabling Situated Knowledge Management for Complex Instruments by Real-time Reconstruction of Surface Coordinate System on a Mobile Device. AI & Society, Vol. 24, No. 1, 85-95, 2009. Yasser Mohammad and Toyoaki Nishida, Towards Combining Autonomy with Interaction for Social Robots. Accepted for publication, AI & Society, Vol. 24, No. 1, 35-49, 2009. Yasser Mohammad and Toyoaki Nishida, Interactive Perception for amplification of intended behavior in complex noisy environment. AI & Society Journal, 23(2): 167-186, 2009. Y. Xu, K. Ueda, T. Komatsu, T. Okadome, T. Hattori, Y. Sumi and T. Nishida. WOZ experiments for understanding mutual adaptation, AI & Society 23(2): 201-212, 2009. Yasser Mohammad and Toyoaki Nishida, Interaction between Untrained Users and a Miniature Robot in a Collaborative Navigation Controlled Experiment, International Journal of Information Acquisition, World Scientific, Vol. 5, No. 4, pp 291-307, December 2008. L. Merckel, T. Nishida: Accurate Object Recognition Using Orientation Sensor with Refinement on the Lie Group of Spatial Rigid Motions. IEICE Transactions 91-D(8): 2179-2188, 2008. Huang, H., Cerekovic, A., Tarasenko, K., Levacic, V., Zoric, G., Pandzic, I., Nakano, Y., and Nishida, T.: Integrating Embodied Conversational Agent Components with a Generic Framework, International Journal of Multiagent and Grid Systems 4:371-386, 2008. Huang, H., Cerekovic, A., Tarasenko, K., Levacic, V., Zoric, G., Pandzic, I., Nakano, Y., and Nishida, T.: An Agent Based Multicultural Tour Guide System with Nonverbal User Interface, the International Journal on Multimodal User Interfaces, pp41-48, Vol. 1 No. 1, Springer Press, April 2008. Toyoaki Nishida, Conversational Informatics and Human-Centered Web Intelligence, IEEE Intelligent Informatics Bulletin, Vol.8 No.1, pp. 19-28, 2007. Toyoaki Nishida, Kazunori Terada, Takashi Tajima, Makoto Hatakeyama, Yoshiyasu Ogasawara, Yasuyuki Sumi, Xu Yong, Yasser F. O. Mohammad, Kateryna Tarasenko, Taku Ohya, and Tatsuya Hiramatsu: Towards Robots as an Embodied Knowledge Medium, Invited Paper, Special Section on Human Communication II, IEICE TRANSACTIONS on Information and Systems, Vol. E89-D, No. 6, pp. 1768-1780, June, 2006. Toyoaki Nishida. Social Intelligence Design for Web Intelligence, Special Issue on Web Intelligence, IEEE Computer, Vol. 35, No. 11, pp. 37-41, Noｖember, 2002. Toyoaki Nishida. Grammatical description of behaviors of ordinary differential equations in two-dimensional phase space. Artificial Intelligence, Vol. 91, pp. 3-32, 1997. Toyoaki Nishida. Conversational Informatics: Toward Cultivating Wisdom from Conversational Interaction, Keynote Speech, 19th Annual KES Conference, Singapore 7, 8 & 9 Sept.
Yasser F. O. Mohammad, Toyoaki Nishida: Down-Up-Down Behavior Generation for Interactive Robots. IEA/AIE (1) 2010: 92-101 . Loic Merckel and Toyoaki Nishida: Change-Point Detection on the Lie Group SE(3) for Segmenting Gesture-Defined Spatial Rigid Motion. International Conference on Computer Graphics Theory and Applications (GRAPP 2010). 284-295. Divesh Lala, Toyoaki Nishida. Development of a game simulation to analyze coalitions in agents, EMCSR 2010, University of Vienna, April 6 – 9, 2010. Yasser F. O. Mohammad, Toyoaki Nishida, Shogo Okada: Unsupervised simultaneous learning of gestures, actions and their associations for Human-Robot Interaction. IROS 2009: 2537-2544, October 11-15, 2009. Yasser F. O. Mohammad, Toyoaki Nishida: Measuring Naturalness during Close Encounters Using Physiological Signal Processing. The Twenty Second International Conference on Industrial, Engineering & Other Applications of Applied Intelligent Systems (IEA/AIE 2009), June 2009, Taiwan (IEA/AIE 2009): 281-290.